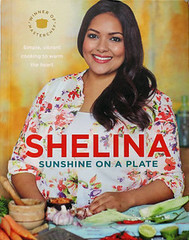 With summer coming to an end, you can prolong it a little longer with a great book from last year's MasterChef winner, Shelina Permalloo. Sunshine on a Plate is a colourful and vibrant showcase of Mauritian cooking, which is fusion cooking at its best, incorporating French, Indian, African, British and Chinese influences. Think chillies! This book is hot and spicy, but you can easily tone the heat down to suit your own tastes. 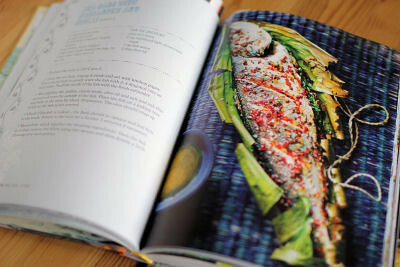 Sunshine on a Plate has over 100 easy recipes, most of which are accompanied with gorgeous, full page, colour photos. There is a brilliant section on the essential ingredients, spices and techniques needed for this cuisine, and most of the ingredients can be bought from the supermarket, or from Asian supermarkets. I like that alternatives for hard-to-find ingredients are given too. Some of the recipes I have bookmarked to make include Bread Croquettes (spicy croquettes served with a tomato chutney), Moolkoo (little fried snacks), Potato & Kidney Bean Daube (Mauritian stew), Dal Puri (classic Mauritian street food) and Mango, Rum & Lime Syllabub. There are chapters on Gajaks (Mauritian sharing dishes), fish, meat, vegetables, rice, noodles, bread and pasta, and also a desserts chapter which show Shelina's love of mangoes - she was nicknamed the 'Mango Queen' on MasterChef after using the fruit in most of her dishes! There is a lovely introduction where we read about Shelina's background and a little about Mauritius. One paragraph had me scratching my head though, as Shelina describes trying to cook a dish and it not working out, apparently her mother hadn't given her the 'complete' recipe. She then goes on to say that she would do the same if she had children! Why would you do that - wouldn't you want your kids to gain confidence with cooking and not spend months and money on a dish that doesn't work? This book is perfect if you are looking for something different to serve up, the recipes are easy and achievable to recreate at home. Although most of the recipes do have full page photos, I would have liked every recipe to have a photo (a small one would do), mainly because it's an unfamiliar cuisine and it's important to me to see how the finished dishes look. 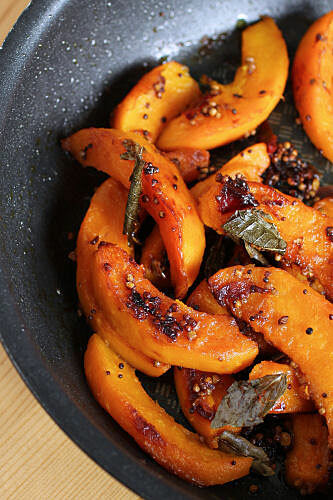 I made a dish called Squash & Mustard Fricassee, which is traditionally eaten at weddings and celebrations. 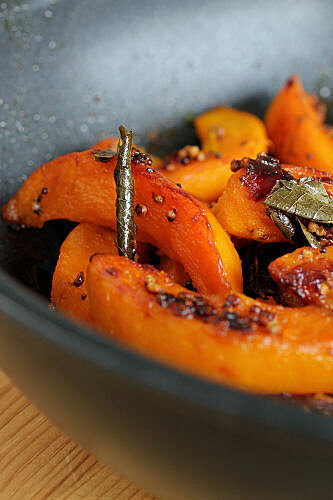 Made with a small ambercup squash, the recipe uses garlic, ginger, chilli, mustard seeds and curry leaves to give it a fiery kick! I also tried a beautiful cocktail from the drinks chapter because Shelina says, 'no Mauritian meal is complete without an accompanying drink or cocktail'. 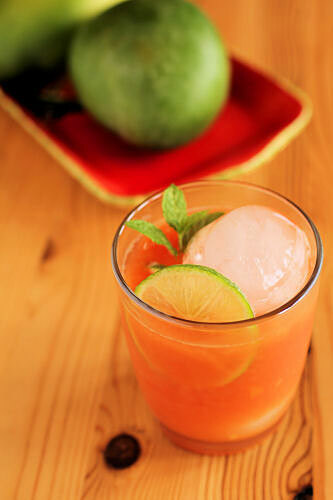 Mango Fever is perfect served over ice and you can almost hear the waves breaking and feel the warm breeze while sipping it! Adapted from Sunshine on a Plate by Shelina Permalloo. Place all the ingredients in a blender and whizz until thoroughly combined. 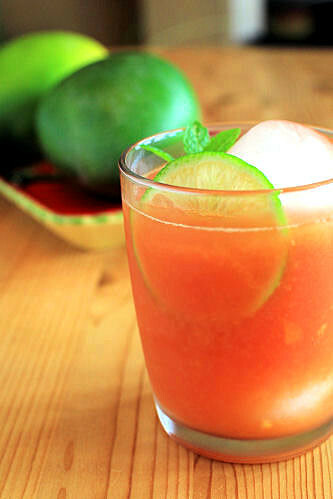 Serve in tumblers, garnish with the mint and lime slices. Disclaimer: I received a review copy of the cookbook from Ebury Press, but all views expressed above are my own. 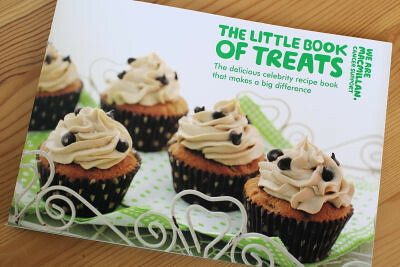 MY cupcakes are on the FRONT of this year's Macmillan Little Book of Treats!! 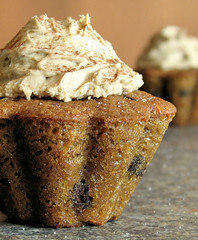 What a thrill, and it's one of our favourite recipes, Cappuccino Cupcakes. 'The Little Book of Treats', which you can find in all M&S Cafés from NOW until the 2nd October, is a fabulous book of sweet treat recipes being sold (only £4.00) in aid of Macmillan Cancer Support. This brilliant book is packed full of recipes, including celebrities Gwyneth Paltrow (Sweet Potato & Five-Spice Muffins), Hugh Bonneville (Great-Granny Mole's Almond Cake) and Dame Maggie Smith (Peanut Butter Brownies). Some other food bloggers also have recipes in the book, including Lavender and Lovage (Little Victoria Lemon Daisy Cakes), Caroline Makes (Toffee Popcorn Cupcakes) and Lotties World of Cakes and Bakes (Chocolate & Beetroot Cake with Hot Chocolate Sauce). 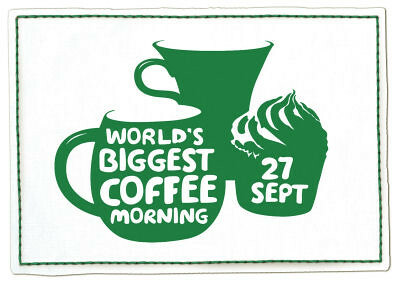 M&S cafés are the official partner of Macmillan's World's Biggest Coffee Morning, and YOU can participate by popping along to you nearest M&S café on Friday 27th September. 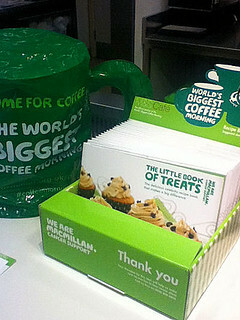 50p will be donated from your coffee sale price to Macmillan Cancer Support, and they will also be making a contribution from the sale price of a range of treats, right up to Wednesday 2nd October. And, of course, you can buy the book. Earlier this summer, I was sent some coffee to try. 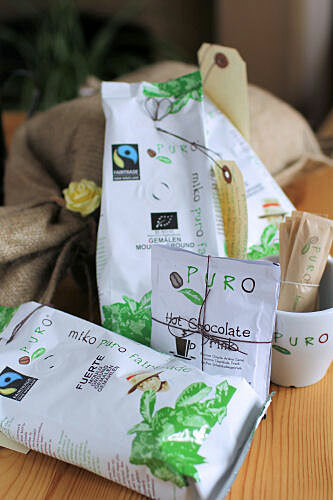 Puro Fairtrade Coffee (created in 2005) is a brand of coffee from Miko, who have been roasting coffee for over 200 years in Belgium. 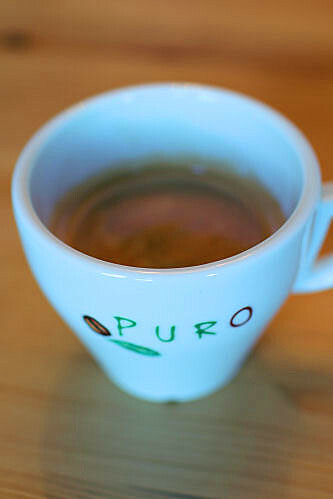 Puro has always sourced Fairtrade, organic, and shade grown coffee. The company has a strong ethos in every area of their product, from ethical and environmental awareness to buying and protecting rainforests. They actively work alongside the World Land Trust, whose patron is Sir David Attenborough, and for every cup of coffee sold, money is given to buy and protect areas of rainforest in South America. You can't buy the coffee in supermarkets (although you can buy it on-line here), you might have enjoyed a cup if you visited a National Trust site (they all use Puro) and restaurants using the coffee include Gourmet Burger Kitchen, Leon, and The Real Greek. Also, large offices such as Innocent Drinks (the smoothie company), opticians chain Vision Express and golf clubs like Wentworth all serve Puro coffee. Take a look at this short video clip, coming from the heart of the South American rainforests about ongoing projects that Puro are really proud of, or watch online at www.vimeo.com/fairtradecoffee/our-story. I tried three of their coffees, all of which were strongly roasted and of excellent quality. Whilst the grind is particularly designed for cafetiere or other filter coffee, it can also be used in other coffee machines, including espresso machines (the darkest Puro Fuerte coffee was my favourite for this, below). The three coffees all tasted really different and it really is only a matter of personal preference as to which one is best. In my house the slightly darker roasts were our favourites (particularly for a lovely Saturday morning coffee!) but we enjoyed all three. Description: Fragrant dark roast with a touch of spice and a full body. Description: Combining soft notes of sweet chocolate with tangy citrus. In 2007, whilst trekking within the Puro Ecuador Rainforest Reserve, a representative from Puro, together with Lou Jost, a world-renowned botanist, discovered a new tree species. This tree was later named Blakea attenboroughii after Sir David Attenborough (a patron of WLT) in celebration of his lifetime effort in matters relating to land and wildlife conservation. A series of other discoveries have since been made, and several new orchid and a frog species – all previously unknown to science – have been recorded within the Puro reserve. One of these orchids has been officially named Teagueia puroana in honour of Puro. Lou Jost has stated that the Teagueia puroana orchid is a member of one of the most remarkable plant radiations in the world, and that the Puro reserve is proving to be a real treasure-trove of biodiversity. 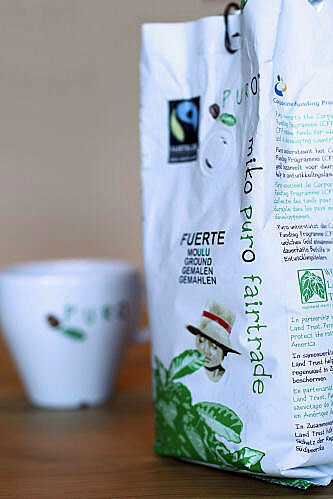 You can also find Puro Fairtrade Coffee on Facebook. Disclosure: I was sent some Puro Fairtrade coffee to try. All views are my own.